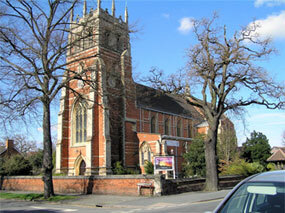 St Mark’s is an open evangelical Anglican church in the parish of New Milverton, Leamington Spa. We have three services on Sundays, and anyone is welcome. If you're new to church and aren't sure what to expect, don't worry. We'll be happy to answer your questions. Each of our Sunday services has a different style, so you might want to try more than one and decide which suits you best. If you have children, our groups meet on Sunday mornings during the 9.30am service. But being a Christian isn't just about Sundays. We encourage everyone to be part of a Small Group. These meet in homes during the week to pray, study, catch-up, and help support one another. We would like you to feel welcome to join us, and if you are new or visiting please do make yourself known to one of the Welcome Team or any of the Leaders who you see at the front. To find out more, take a look around the site, and follow us on Facebook or Twitter.